Kaycee got a cake pop making kit for Christmas but due to moving house in January, it was packed away and forgotten about for a while. When she saw it the other day she got all excited again and asked if we could make some so I bought sprinkles and chocolate and away they went! They’ve made sponge cake mix so often that I don’t need to supervise until it’s time to put them in the oven so I left them to it and carried on sorting boxes for the loft. The cake pop mold worked really well. I’m not sure why that surprised me but it did! We didn’t have much luck with making the sticks stay put in the cake though when it came time to dip in the chocolate. We did as was suggested by another blog and dipped the sticks in melted chocolate before pushing into the cake and we put them in the fridge but I reckon we were a little impatient and didn’t leave them in long enough! 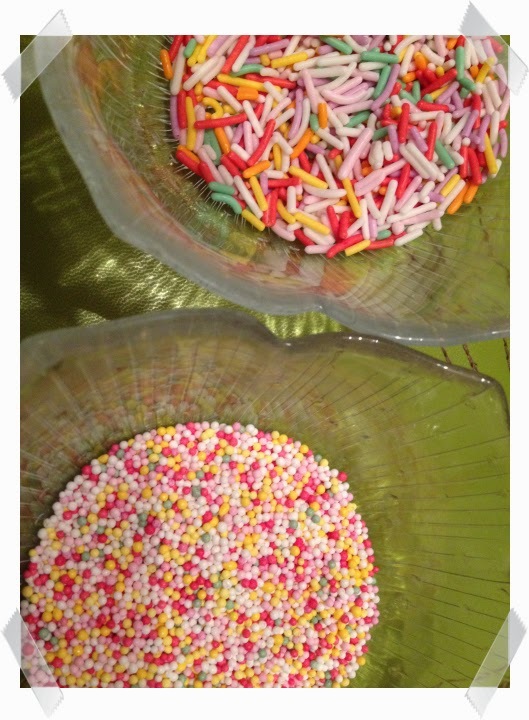 Anyway, it was messy but we finally got all 40 cake pops covered in chocolate…some in orange flavoured aero and some in toblerone then dipped them in the sprinkles. The girls loved making them and have asked if we can make more soon. I will let them but I have to admit to not wanting them to make any this week because I’m trying to have a really good week diet wise and seeing those staring at me every time I open the fridge has been a nightmare this week! I get weighed at Slimming World later and I’m not holding out much hope for a loss after not being able to resist one or two, or three of these as well as a takeaway on Sunday night! 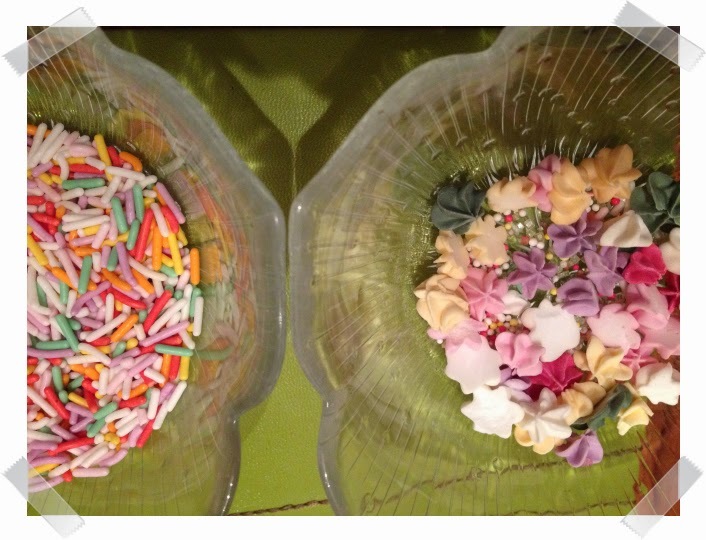 They look yummy:) my kids would love making the, it would inevitably be messy!! They look YUMMY – we haven't made cake pops yet…mainly because I am serious challenged in the kitchen 😉 However, they do look so easy perhaps I should stop being a wuss and give it a go? Yummy! I've been wondering what to get Peakles for Easter and may be something like this would work. I know her brother and Dad would like them too!! I've never made a cake pops before. I have always wanted to make cake pops but had no idea where to start. They make it look so easy! Those cake-pops look really fab! I have to admit I can never manage to make them so round and beautiful! Well done! Well done to them, they look amazing. Didn't they do brilliantly? I've got a cake pop mould that I haven't been brave enough to try yet…time to dig it out I think! 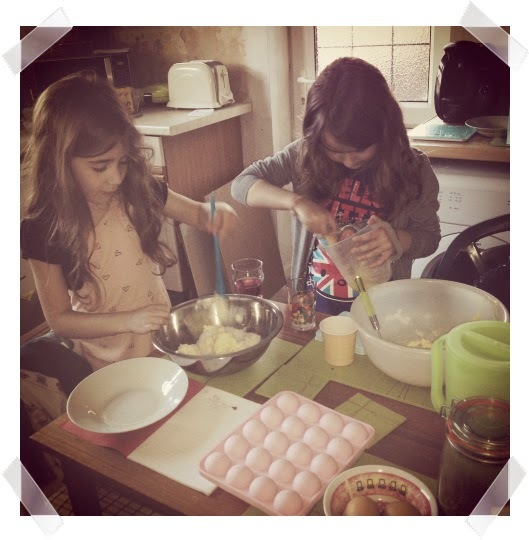 Like Kirsty we too keep meaning to make them – I need to make a list ready for half term of things like this don't I?! They look fab! Very professional, ours ended up a right old state when we tried! 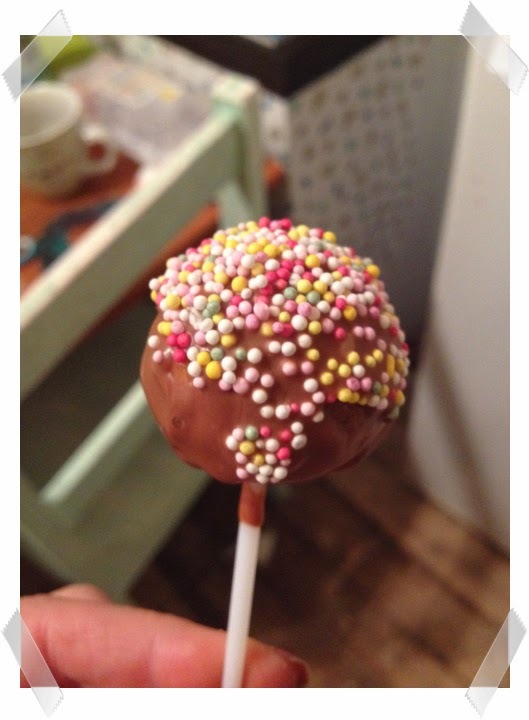 Brilliant – I've only just perfected cake pops – well, enough to pass the taste/appearance test with the kids lol!! The girls have done a great job! I'd like to try to make these one day but I've been told that they are hard to make. Your girls have made them look much easier than was described to me. Fantastic!